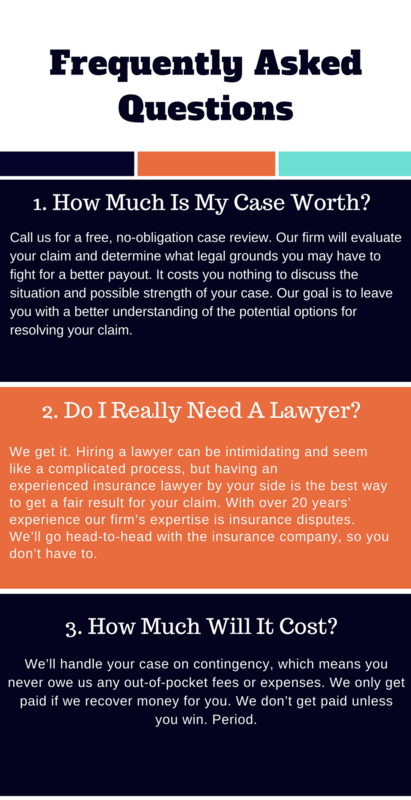 Tampa Insurance Claim Lawyer | Williams Law, P.A. After your home was damaged by a hurricane or other disaster, you probably had the hope that your insurance company would stand by your side and help you put your life and property back together. You bought property insurance with the hope that, if you ever had a loss, your homeowners policy would quickly investigate your claim and fairly pay your loss. Unfortunately, many policy holders have learned the hard way that insurance companies are more interested in profit than paying claims. Over $100 Million Recovered On Behalf Of Our Clients! Insurance claims lawyer K.C. Williams has more than 20 years of experience assisting Florida residents and property owners in their struggles with insurance companies – helping to fight their delayed, denied or underpaid insurance claims. Our firm has earned a reputation for excellence in handling hurricane claims and other insurance claims for damages caused by storms or natural disasters. Florida law sets forth specific guidelines an insurance company must follow in investigating, estimating and paying an insurance damage claim. Many times, insurance companies will ignore these laws, with the hope that the policy holder does not know his or her rights under their homeowners insurance policy. Over the past two decades, we have assisted thousands of Floridians with their claims and have helped them maximize their recovery under their insurance policies. Preparing, filing, and disputing insurance claims can be challenging. Insurance companies do not always have your best interests in mind and often want to pay out as little as possible on claims. In order to get all the benefits you are entitled to under your insurance policy, you should retain the services of a qualified attorney to represent you during this process. For a free, confidential consultation with an insurance claims attorney, please call (800) 451-6786 or submit an online contact form below. We look forward to assisting you.